Imagine looking out your window to see beds bursting with ripe red tomatoes, tumbling squash, and a multi-coloured array of crisp salad greens and herbs! The possibilities for growing your own fresh, flavourful produce are endless – no matter how limited your space or level of experience. Would you love to harvest tons of zucchini… armfuls of herbs… baskets of strawberries… all from your own backyard? From Enrolment to Harvest in 6 Weeks. Simply follow the study program and you’ll have your first pesticide free crops on the table in 6 weeks. Or even less. Which is best – formal or informal beds? Discover the best ways to start your food gardening venture – plus how to choose the garden size and location that’s best for you. Turn kitchen garbage into black gold. Turn that idle compost heap into a vibrant tool to create new growing space…solve garden problems…host beneficial insects…and invigorate soil all year! Overcome the feast or famine syndrome. Get our proven blueprint to overcome the feast or famine syndrome that plagues food gardeners everywhere. Consistently put food on the table, year-in and year-out. What type of soil do you have? Does it matter? No need for an expensive laboratory soil test. Learn how to determine your soil type with a no-cost home soil test. Then turn that knowledge into bigger and better crops. Which crops will suit you best? Don’t make the mistake of trying to grow crops that don’t suit your experience level and the soil in your garden. Get our handy list and start growing to your strengths. And more! Plus, you’ll enjoy real-life gardening tips and step-by-step techniques for preparing the beds, sowing, watering, weeding, harvesting, and pest and disease control. The Herb and Veggie Growing Master Class is a practical, authoritative course for growing naturally nutritious small fruits, herbs and veggies and a gorgeous food garden that’ll be the envy of your neighbourhood! “I am so happy with my progress and the fact that now (as opposed to when I just planted and hoped for the best) I can actually enjoy the fruits of my labour. Family and colleagues have been given samples and hopefully my 3rd planting will be the most successful yet. My thanks to Di-Di – this experience has been super and I can highly recommend this course to anyone wanting to improve their “small farming” skills.” – Deanne, Roodepoort. “What fun I have had! I am now on my 3rd succession planting. I have been able to share with a family in need and that has been amazing. Time to plan the expansion of my garden! Di-Di thank you so much for this amazing course. Enjoy yourselves and here is to a healthy, cheaper way of eating!” – Fiona, Cape Town. “Thanks so much for this wonderful opportunity. Despite hail, bugs and boisterous dogs I have still managed to produce spinach, beetroot and lettuce for four of us from my door sized patch. There are still eggplants to come and the beans are flowering. The thyme is flourishing and my pepperdew plant (tree) is now about two metres high and full of fruit!! Once again many, many thanks.” – Ann, Merrivale. “I have enjoyed every moment of the program, and although I have been growing veggies for ages, I enjoyed the structured and compact way that this course is presented. It is excellent material, and very good to go through the whole process again from planning to harvesting, and to consolidate and revise one’s knowledge about growing food. This course shows that anybody with even the smallest available space can harvest something that is infinitely better than the stuff you buy. So GO FOR IT! Do your own thing and spread the word – we need everybody in South Africa planting more food!” – Faan, Boksburg. You can do this online course from anywhere in the world. There are no classes to attend at a distant venue. No time wasted in traffic and no time wasted traveling. You simply access everything online and do the course in the comfort of your own home. Unlike other online programs available on this subject this is not just an e-book labelled as a course. Your Herb and Veggie Growing Master Class is a fully fledged distance learning program complete with learning outcomes, learning activities, assignments, and tutor support. These are all designed to help you grow the biggest and best herbs and vegetables you’ve always dreamed of. 23 Food gardening lessons that will give you a solid foundation to grow bigger and better backyard crops and safe to use medicinal herbs. An additional 22 advanced lessons that teaches you everything you need to know to consistently put nutritious food and healthy herbs on the table. Access for as long as you have a valid student membership. From the calls and emails we receive, we know food gardeners are frustrated because they keep wasting their time and money following the well intentioned advice from fellow gardeners, and the sometimes confusing advice in books and on the internet. They don’t want to spend a fortune on learning the craft, they’d rather spend it on developing their food gardens. For that reason we’ve made this online course available at a very affordable price. If you follow the course you’ll easily save twenty to fifty times that amount on your food bill in your first year. Use that saving to pay for the course and to invest in making your food garden bigger and better. What Happens If the Online Course Is Not To Your Liking? We stand behind this course and we know you’ll find that the superior content will meet your expectations. More importantly, you’ll see results. That’s the real measure of success and that’s what you’ll get. 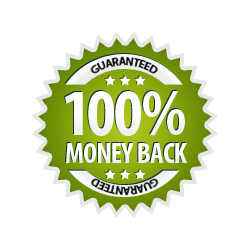 However, if you are not 100% satisfied with the online course, just let us know within 30 days for a full refund. And keep all the learning materials that you’ve downloaded free, with our compliments – that way, you risk nothing. It’s that simple. No questions asked. No hassles. No delays. From being more self-sufficient… to slashing your food bill… to enjoying nutritious home-grown food all through the year… to building super-fertile soil… to learning safe natural ways to control pests and weeds… to giving your children and grandchildren a valuable life skill… to being the envy of your neighbourhood. The Herb and Veggie Growing Master Class is your #1 course for practical, authoritative food gardening know-how. 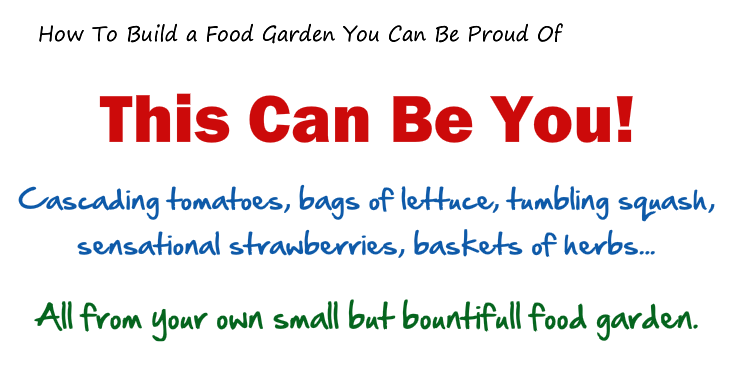 So, here’s the “pitch” – if you want to supply most of your own pesticide-free herbs, vegetables and fruit, and you want a proven system with life time access, and a veteran horticulturist to coach you through the process.